Welcome to our Smile Gallery! At Victory Dental in Boise, Idaho, we strive to give everyone the smile they have always dreamed of. Take a look at some of our most recent cosmetic cases below! 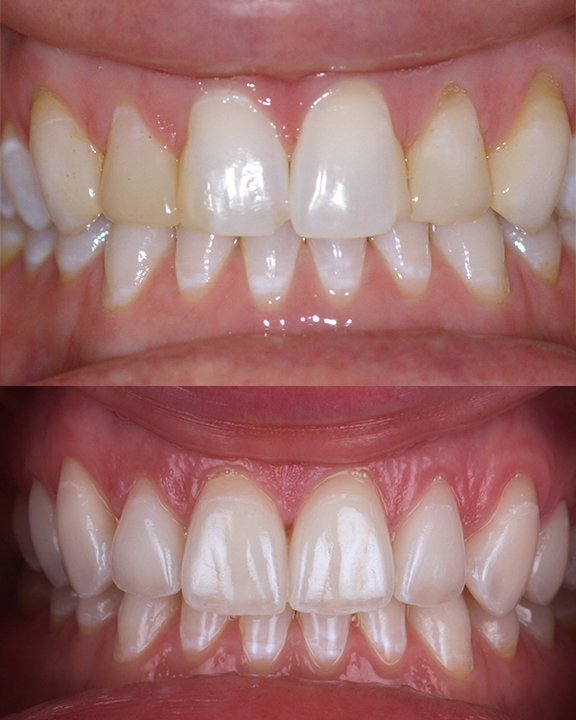 This patient had old white fillings on either side of her front teeth that had yellowed over time. She wanted a more uniform and whiter smile. Using a combination of dental crowns and veneers, we were able to get the desired result and she is happy with her beautiful new smile! This patient was a very heavy clencher and grinder. 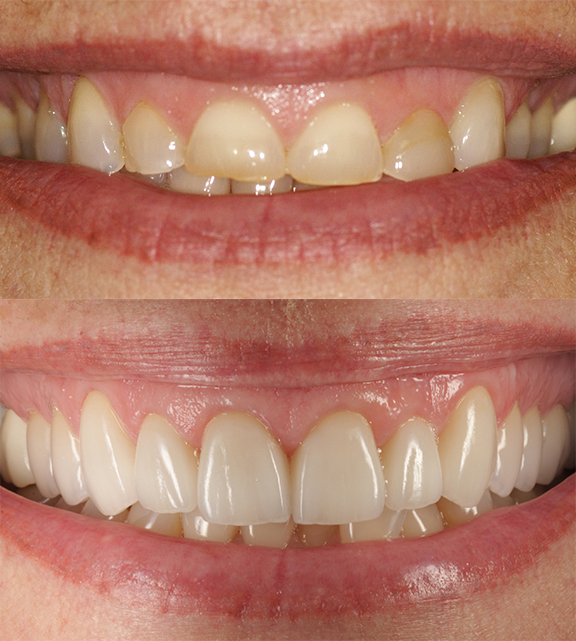 She had basically worn all of her enamel away, exposing the darker, yellow dentin layer underneath. Her teeth were ground down so they were much shorter than they were supposed to be and she also didn't like the color. Dr. Dave and the patient decided that she was a good candidate for a Full Mouth Reconstruction. We prepared and made crowns for all of her top teeth. The final results are astounding! What a huge difference. Not all people want perfectly white, straight teeth. 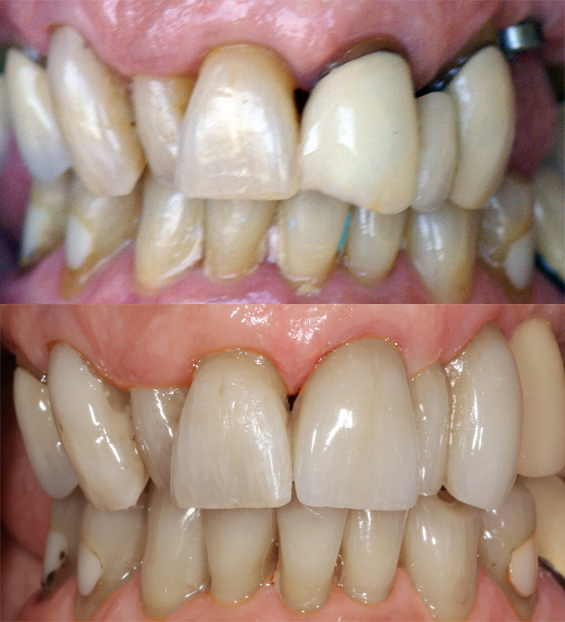 This patient wanted to focus on keeping her teeth looking natural and wanted to redo her bridge. The lab worked hard to give her the most natural smile they could. You can't even tell which teeth are fabricated and which are her natural teeth.